Are the Xbox 360 and PlayStation 3 getting better with age? 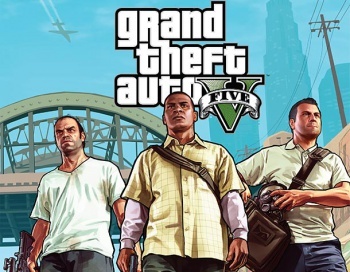 With talk of next-gen Microsoft and Sony consoles already ramping up, some may wonder why Rockstar decided to develop the upcoming Grand Theft Auto title for the current Xbox 360 and PS3 hardware. Well, if you take GTA V writer Dan Houser's word for it, it's because right now is prime time to make great games for the aging systems. "We use the technology we have to create content, and we try not to let ourselves get beholden to the hardware," Houser explains in an interview with Famitsu, translated by Polygon. "The fact that hardware's so mature right now is exactly why we're able to go on to the next level. GTA 4 was our first attempt at a new platform and HD visuals, so the first part of development was seriously difficult. Now we know what the hardware's capable of, so it's become a lot easier to move things along and a lot more fun, too. GTA: San Andreas came out at the peak of the PlayStation 2's cycle, and we put out a really good game thanks to that. All the best games for a console come out at the end of the lifecycle, right? So now's the best timing of all." It's hard to argue against Houser's logic. Historically, game quality tends to go up as each console generation drags on, with developers gradually becoming more comfortable with the hardware at hand. Of coure, this approach has a downside as well, which is that we're not likely to see a next-gen Rockstar adventure until the as of yet unannounced consoles have been on store shelves for at least a couple of years.